4-Tube Gourmet Salt Collection No.1 - Miam! 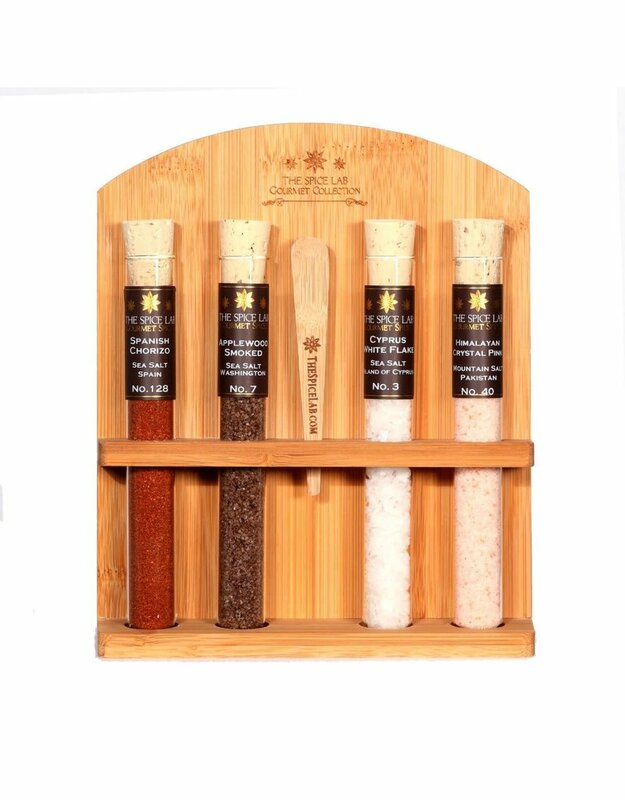 This Gourmet Salt Collection includes 4 of the best tasting, hard-to-find salts in the world. 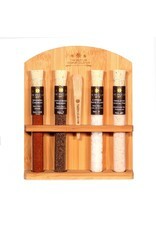 These multi-pack samplers of salts are a great way to spice up your next meal, and are convenient to use and store. These collections are presented in affordable, portable, and decorative packages, perfect for kitchen countertops. They even come with a reference card, detailing descriptions and suggestions on which salts go with which dishes, making it easy to create the perfect combination of flavors. These samples are bound to make a great addition to anyone’s kitchen, and a practical gift for chefs and cooks of all experience levels. These Collections are housed in Pyrex test tubes with all-natural cork stoppers. The tubes sit in a wooden base. Each test tube contains between 0.7 to 1.3 oz of salt depending on the density of the salt.